Advanced Label Design offers a robust print engine with a variety of features and variable fields for industry compliant labeling. 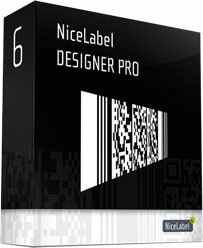 Designer Pro is a top professional barcode labeling software product that allows for complete integration for customized labeling solutions. An advanced label design software is perfect for creating compliance Labels, plant/tree nursery labels, RFID labels, variable data labels, ID badges, nutrition labels, AIAG labels, warehouse labels, pharmacy labels, patient wristbands, case labels, shelf tags, GHS chemical labels, asset tags, GS1 labels Unicode /multi language labels, and product labels.